Kat and Karl : red hooded sweatshirt! 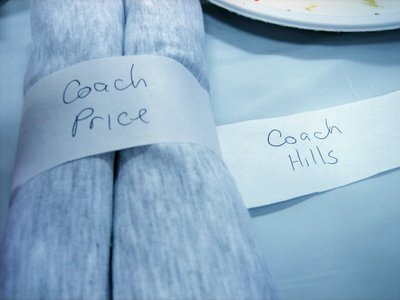 the coaches got trendy st. james t-shirts and corky's bbq gift certificates! now that is what i call appreciation! YUM! we taught alexis and her boyfriend the ways of indian and moose saturday night! that was highly entertaining. i forgot how fun those games were! they made me miss the silliness of college life!! we need to take some MOOSE pics this weekend perhaps (you know for the sake of the blogging community so they can enjoy it as well)?